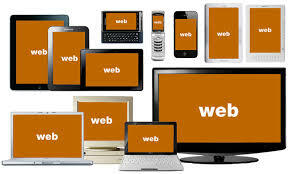 For any online property, a responsive website is a prerequisite. It really doesn’t matter whether you’re marketing a business product or just maintaining a blog about your daily life. With the present trend of responsive web designing, every site needs to be accessible and scalable on all popular devices. Naturally, there involves more investment that is needed to develop a responsive website rather than a traditional desktop website. In fact, the cost of creating a responsive site is considerably less than a website that is created entirely for desktops. Have a look at some of the blunders that you should avert as a web designer while designing a responsive site. Thinking of desktops only: One of the most common mistakes that web designers make while handling a responsive website is to think of desktops first. It is rather a challenge for the designers to get over this habit of thinking of desktops first and move on towards creating a website for a mobile. Now designers should train themselves to think mobile first and they should work from a smaller screen and then move towards a larger one. Leveraging a single program for all designs: There are many companies that have stepped up and created a single design for all programs. The only issue with this kind of approach is that this may not be the most appropriate solution. Mobile platforms are often a class by themselves and they usually require more attention. So, you should always try to create different programs for different designs. Disabling the facility of zooming: Even there are web designers who make the mistake of disabling the zooming facility from the responsive websites. You should never commit this error as this simply means taking away control from the hands of the users as they can’t zoom in and zoom out according to their convenience. Hiding content: When you hide content simply because it doesn’t fit into the smaller screen of mobile devices, this is never a clever decision. This will definitely have an adverse impression on the user. Remember that the mobile users are as eager as the desktop users to check out the content that is displayed at first. During such a situation, if they can’t do so, they might never come back to your website. Compromising with style and design: You will definitely feel good and excited when you can develop a page that can contract and expand even on mobile devices. But if that means compromising on design and style, then it may give a rather common look to your website, which is not desirable. Make sure you do everything aesthetically by leveraging the grid system that suits and content and design of the website. For more information and details on web designing, you can join websites that offer online courses on the same. Just make sure that you employ all that you learn while creating a responsive website as this is the current order of the day.